119 Old Centers Ferry Rd Harriman, TN. | MLS# 1058375 | Fantastic Lake Front Properties in East Tennessee Take a Tour with Sail Away. Specializing in Lake Front Homes in Watts Bar, Ft Loudon Lake, Tellico Lake, Melton Hill Lake, and More. Opportunity to own a fabulous piece of lakefront at a bargain. This home boasts an open floorplan and a sprawling basement. 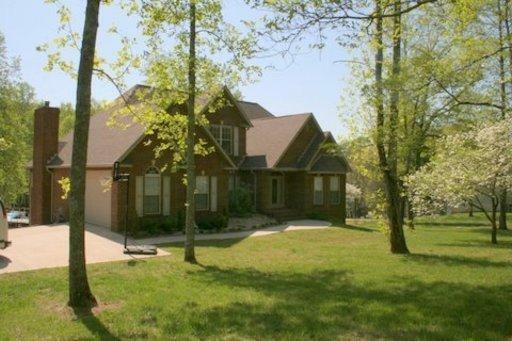 A quality constructed brick home on the Main Channel of Watts Bar Lake. Custom features throughout. Built ins galore, surround sound hidden in trim. Massive Rooms, granite counters and fireplace surrounds. The list goes on call today to view this home. Additional 1.9 acre main channel lot with dock available to buyer of this home for $150,000. 2100 sqft detached garage to play with all of your toys.